You are here: Home | Miami Car Accident | The Altman Law Firm has 2 of the Top Florida Verdicts in 2014! The Altman Law Firm has 2 of the Top Florida Verdicts in 2014! 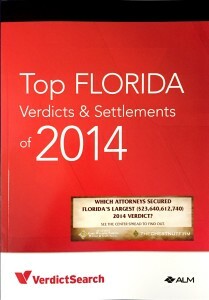 The Altman Law Firm is proud to announce that it has received the recognition of being published in “Top Florida Verdicts & Settlements of 2014“. We had the #5 and #9 highest Jury Verdict Award in the area of Workplace Negligence – one for $2,800,000.00 and another for $807,600.00. 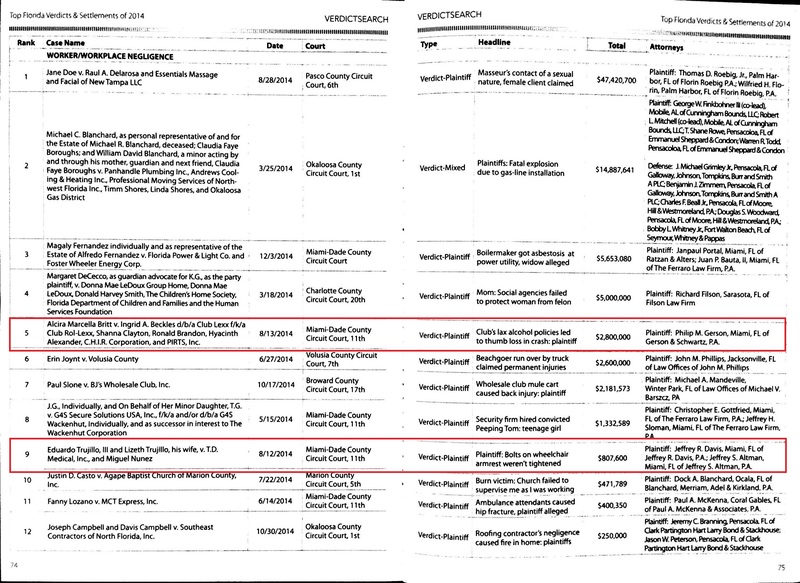 Remarkably both Jury Verdicts occurred within a few hours of each other! 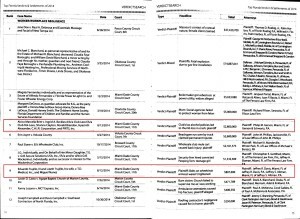 Although The Altman Law Firm name is missing from the #5 published result, Jeffrey S. Altman was co-counsel and involved in all discovery and traveled to Boston to take a video deposition of a key witness that was played for the jury during the trial. Unfortunately, Mr. Altman got called to start 2 Jury trials on the same day and left the Club Lexx case to be tried in the masterful hands of co-counsel Philip M. Gerson who brought home the victory for our lovely client. The case Jeffrey S. Altman was called to start a Jury Trial on the same day as the Club Lexx case resulted in the 9th largest Workplace Negligence Verdict in Florida in 2014. It was a great week for the clients of The Altman Law Firm and we are so proud to have been able to help. About Jeffrey S. Altman: Mr. Altman has been handling personal injury cases throughout Florida since 1998. He is a proud member of the Million Dollar Advocates Forum. This is a group whose membership is restricted to lawyers that have been lead counsel in cases that resulted in a recovery $1,000,000.00 or more. Mr. Altman has obtained several of these Results. The Altman Law Firm is is a Miami Personal Injury Law Firm located in Miami, just minutes from North Miami, Miami Shores, North Miami Beach, Sunny Isles Beach, Aventura and South Beach. If you or somebody you know is in need of a Miami Personal Injury Attorney, please call Mr. Altman at 305.373.3730.